Odessa is not a capital and never was, still it declares itself a world capital of humor and joy of life. 1. Odessa had used to be the 4th city of the Russian Empire after Moscow, St. Petersburg and Warsaw, now it is a part of Ukraine. From the very beginning in 1794 Odessa was multinational and now there are more than 168 nationalities, all of them call the city Odessa-Mama. With more than 200 multicultural festivals a year Odessa makes every tourist feel at home. 2. 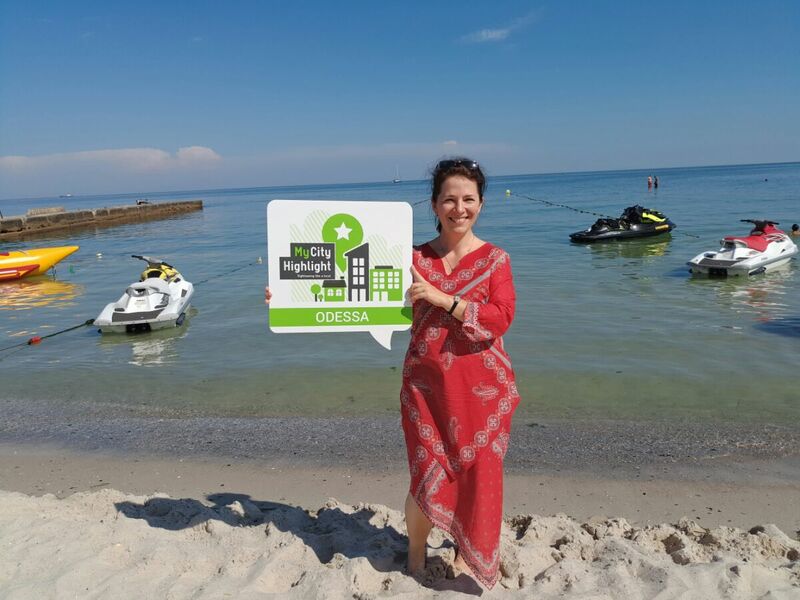 Odessa is a popular warm sea resort with more than 290 sunny days a year. The beach line stretches for over 30 km across Odessa’s Black Sea shore and provides every opportunity for watersports activities: swimming, diving, aquabiking, kiting, yachting, раrasailing etc. 3. Odessa is a birthplace of many famous musicians, artists, poets, actors, which greatly contributed to the world’s cultural heritage. There are many architecture jewels, Odessa Opera Theater is one of the most beautiful in Europe and Odessa Phylharmonic Orchestra – one of the best. 4. Odessa offers one of the most delicious local cuisine in Europe combining old Jewish, Ukrainian, Russian, Greek, Italian, Armenian, Georgian, etc. dishes. The tourists enjoy very affordable prices in Odessa res-taurants and can try everything at once: gefilte fish, forshmak, borsch, salo, brynza, bychki, vareniki, raki, bitochki, tsimes, tyulechka, vertuta, etc. Fastest way: by taxi. The journey takes about 20 minutes. Those taxies which are waiting near the airport charge around 10 EUR for a city center drive. Alternatively you can call to taxi +380 482 342000, the tariff will be around 3 EUR for a city center drive. Cheapest way: by bus No. 117 (the fare costs 0.19 EUR) and trolley-bus No. 14 (the fare costs 0.07 EUR). The journey might take up to an hour. The city center is great for walking. We rarely use public transport within central historical area. Because the taxi is cheap in Odessa (a single fare costs around 3 EUR), the most tourists prefer it as a way to get around the city. Trams, trolley-busses and buses are even much cheaper, but they might be crowded, especially during the rush hours. 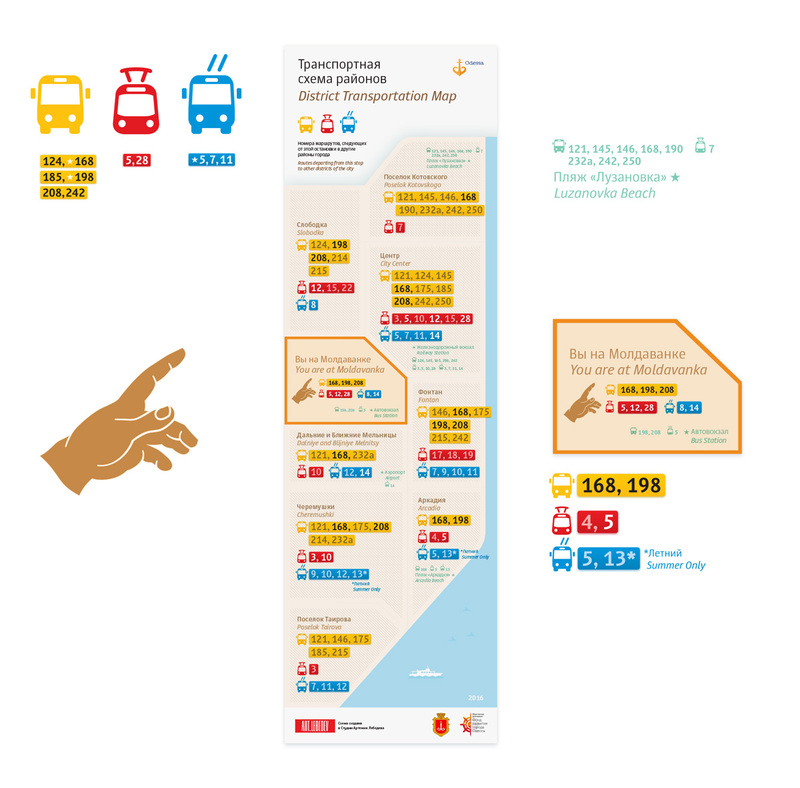 The cost per fare should be paid to the driver directly in cash at the time of getting out (0.19 EUR for buses and 0.07 EUR for trams and trolley-busses). To get to Deribassovskaya street, use buses 185, 146, 175, for Arcadia beaches and Privoz Market use tram 5 or bus 198. - Specialties of the city to eat: in Odessa we always start our lunch with a soup, because our grandmothers insist it is healthy. A soup could be Red Borsch (a beetroot soup) and Green Borsch (without beetroot at all, made of sorrel and spinach), okroshka (cold soup with fresh vegetables and kvass), ukha (fish soup), solyanka (smoked meat soup). The second course could be meat (shashlik, chelogach) or fish (bychki, barabulka, kambala) or vareniki. - Is the tap water safe to drink from the tap: No! Always drink the bottled or boiled water only. Many cafes and restaurants in the city center are open until 2am, find them on the streets Deri-bassovskaya, Ekaterininskaya, Gavannaya. Night clubs Ibiza, Western, Itaka, Bono in Arcadia, Captain Morgan in the center. Bars Fitz, Mick O'Neill, Corvin, Bootleger in the center. Shopping malls “Afina” and “Europe” in the city center, market “Privoz” and the shopping malls “Ostrov” and “Novy Privoz” nearby. Enjoy your meal: Priyatnova appetita! With the help of the filter "With free wireless" you find highlights that offer free wireless. 1. City Public Internet Access on Primorskiy Boulevard. 2. At McDonalds and Top Sandwich networks. 3. At Odessa International Airport (VIP Hall). 4. At Free Wi-Fi benches near Citrus gadgets shops. 5. In some trolley-busses marked with the appropriate signs. A handmade chocolate is a great souvenir from Odessa. It is produced by Lviv Handmade chocolate shop on Deribassovskaya 31. 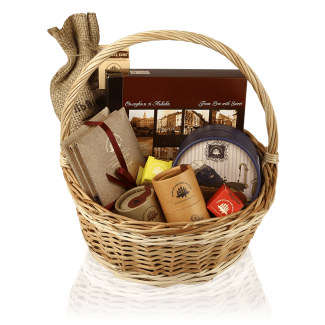 You can choose from over 100 varieties and make your own assorted collection. Vyshivanka, a Ukrainian traditional embroidered shirt, can be bought in Passage, Preobrazhenskaya 34. Their prices are the best so far. A painting from Gapchinska Art Gallery is a unique souvenir from Odessa. The gallery is located on Ekaterininskaya Square 6. 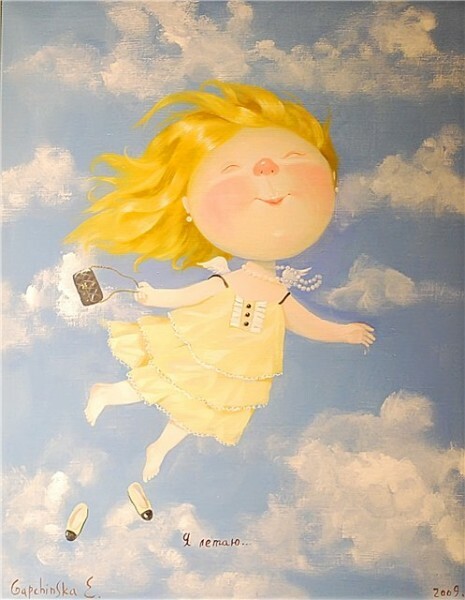 Yevgeniya Gapchinska is a Ukrainian painter with her own easily recognizable style. 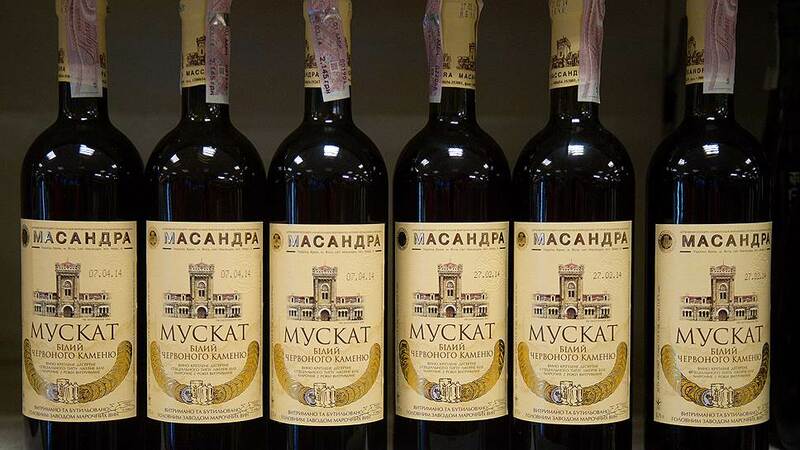 Massandra Wine is a favourite wine of the Russian Czars. It differs from the traditional European wines. In particular there are many dessert wines and cherries. The shop is located on Ekaterininskaya Square, 2. The popular souvenir is the wine produced in the year you were born. Their oldest wine bottle is dated 1912.